Jimmy Kimmel has been tapped to host the 2017 Oscars, it has been announced. It will be the first time Jimmy Kimmel has fronted the ceremony, which takes place on February 26, 2017. Jimmy Kimmel has previously hosted the American Music Awards and has twice fronted the Emmys – in 2012 and 2016. Previous presenters of the Oscars include Ellen DeGeneres, Chris Rock, Seth MacFarlane, Whoopi Goldberg and Neil Patrick Harris. Since 2003, Jimmy Kimmel has hosted his own nightly hour long talk show – Jimmy Kimmel Live!. 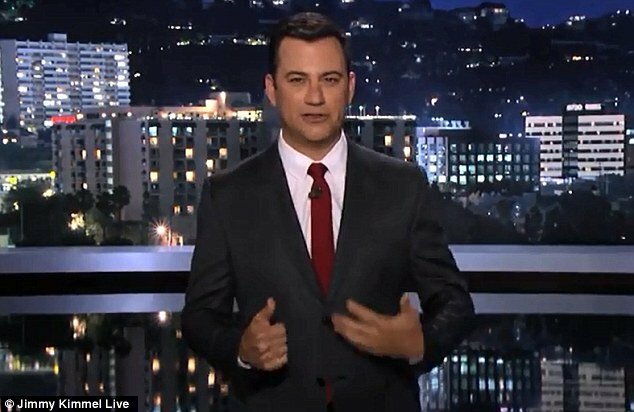 Regular features on Jimmy Kimmel’s talk show include celebrity guests reading out insulting tweets about themselves and parents filming their children’s reaction to being told all of their Halloween chocolate has been eaten. Jimmy Kimmel has also made cameo appearances in movies such as Pitch Perfect 2 and Ted 2, as well as TV shows including Sesame Street and Entourage.